What’s your favorite indica? These top ten strains are loaded with THC, so expect plenty of euphoria and some quality nap time with these pungent buds. Kush fans are in for a real treat with this list. Indica strains are naturally high resin producers, meaning that you can count on plenty of crystal-coated buds from these strains. Sedative, dreamy, and calming, these psychoactive flowers can ease away stress while delivering some seriously euphoric highs. Medical consumers may appreciate the potent and narcotic-like pain relief provided by these intoxicating herbs. Without further ado, here are the 10 strongest indica strains on earth right now. Strawberry Banana is a potent indica-dominant hybrid from DNA Genetics. This drowsy herb produces more of a euphoric feeling than other strains on this list thanks to split indica/sativa lineage. A cross between Banana Kush and Bubble Gum, Strawberry Banana is an award-winning strain loaded with THC. 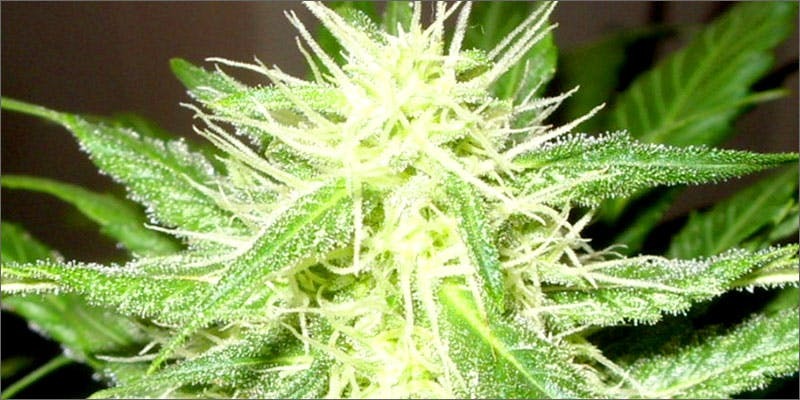 On average, this fruity bud produces between 22 and 26% of the psychoactive. Unlike other strains on this list, Strawberry Banana is not completely sedative. 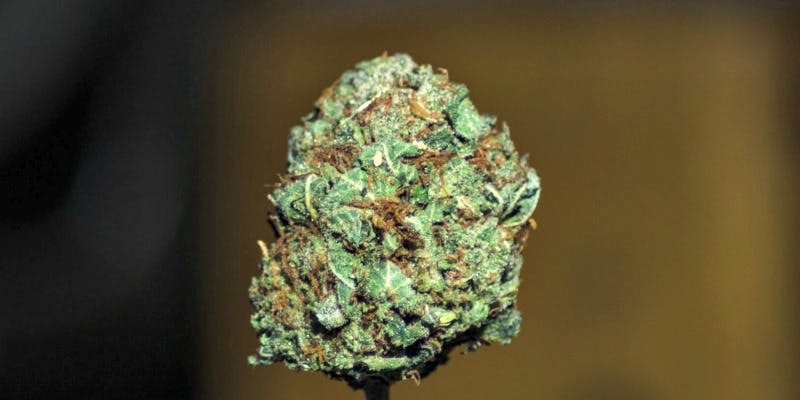 This powerful bud can encourage a deep relaxation and jolly mental high. Some can get away with consuming Strawberry Banana during the day, however, it is generally considered an evening strain. Testing with up to 27% THC, Purple Kush is a hard-hitting favorite. Considered one of the most powerful strains in the world, this flower is 100% indica. A mix of Hindu Kush and Purple Afghani, this strain has landrace heritage and delivers a pure indica experience. Many consumers report deep sedation and pain relief from Purple Kush. Thanks to its potency and unique body-relaxing effects, Purple Kush is perhaps one of the most valuable medical cannabis strains around. However, this numbing herb is best saved for nighttime. A few tastes of Purple Kush can leave you feeling stuck to the couch with drooping eyelids. An indica-dominant cross between Sensi Star and Sour Diesel, Death Star is one powerfully sedative hybrid. Featuring between 20 and 26% THC, Death Star will blast stress and worries to another galaxy. Highly euphoric, this strain is known to promote some laughter and a positive sense of well-being. However, this strain is also about 80% indica. That means that most can expect to feel drowsy, relaxed, and maybe even a little unmotivated after several tastes of this psychoactive plant. Ice Wreck is technically a hybrid, but this potent strain has some seriously drowsy effects. A cross between Ice and Trainwreck (an equally noteworthy sativa strain), Ice Wreck provides an almost psychedelic experience. Testing as high as 27.7% THC, this strain offers the cerebral stimulation of a sativa with the heavy-hitting relaxation of an indica. 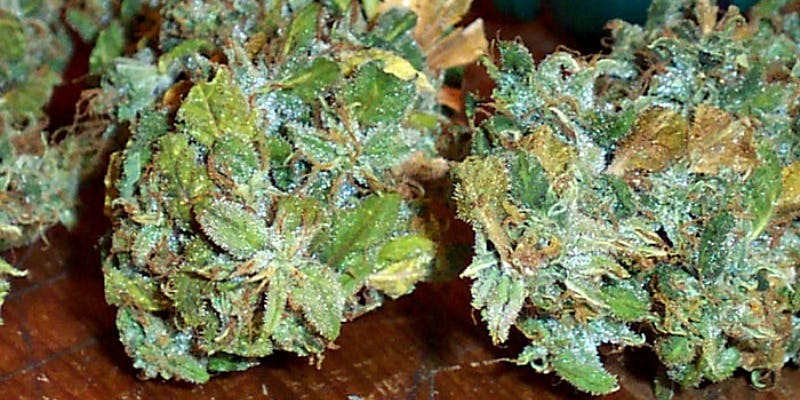 Many find this strain to be helpful in pain management and insomnia. Drowsy and relaxed, this strain is known to promote a tingly body buzz and a bad case of the munchies. G-13 is one of the most mythic indicas on the market. As the story goes, G-13 is an escapee from a breeding experiment funded by the U.S. government. 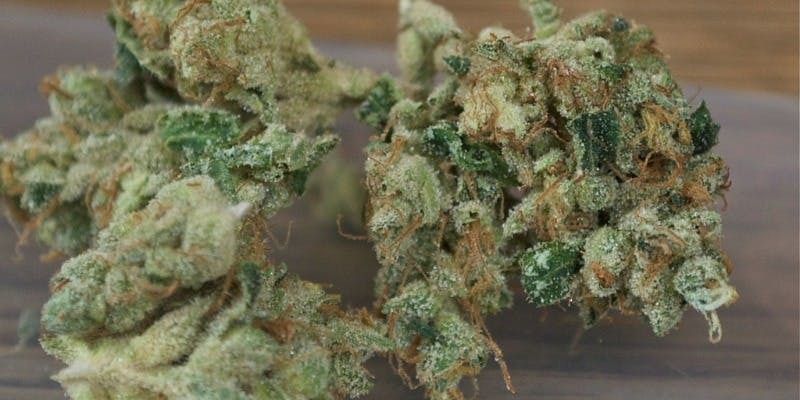 While there is no saying whether or not this story is true, G-13 is truly a five-star indica hybrid. One of the most potent strains on the shelf, G-13 features between 20 to 24% THC. Recommending for experienced consumers, this strain provides a powerful, rolling euphoric high that can truly warp your senses of space and time. Encouraging deep body relaxation and heavy eyelids, it’s easy to melt into a puddle of bliss after just a small amount of G-13. Kosher Kush is a Californian strain with unknown indica heritage. Bred by DNA Genetics, this bud features a robust herbal aroma with plenty of lemon and pine. Containing between 20 and 25% THC on average, Kosher Kush is one drowsy bud that indica fans are sure to enjoy. This strain is recommended for nighttime use, though Kosher Kush also has a giggly, talkative side to it as well. Recreational consumers who love winding down with a movie and some nice herb after a long day may find a new best friend in this crystal-coated flower. 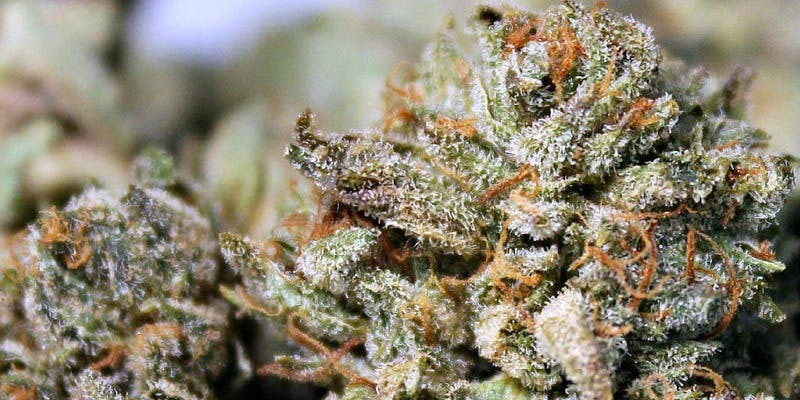 Named after a mind-control program operated by the United States Central Intelligence Agency (CIA), MK Ultra is an uber-strong indica hybrid that promotes a dreamy, euphoric state. One of the strongest indicas in the world, the THC in this strain reaches between 18 and 23%. THC, however, is not the ultimate indicator of strength. Rather, there’s something about MK Ultra that promotes a super heavy body numbness and a spacey, euphoric bliss. This cross between G-13 and OG Kush is a must-try for serious indica fans. Critical Kush is a Barney’s Farm creation. A cross between Critical Mass and OG Kush, this woody flower boasts THC levels between 20 and 25%. This deeply tranquilizing strain may be soothing for those with anxiety or under chronic stress. Fast-growing and high-yielding, Critical Kush is an excellent cash strain. As a Critical Mass offspring, Critical Kush features large, resin-dense buds that release an intoxicating lemon-pine scent. Popular among patients with chronic pain, Critical Kush is a therapeutic strain that provides full-bodied nighttime relief. No matter your religious beliefs, God’s Gift seems like a flower from a higher power. This sedative indica can feature as much as 22% THC. Though this strain has been around since the 1990s, it remains an impressive specimen. Fast-acting, the happy and upbeat effects of this strain often come on first. Many enjoy the happy, bubbly mental side of this strain. However, don’t let the upbeat nature of this herb fool you. God’s Gift can pack some serious sedation. The area behind the eyes is likely to grow heavy, and many find that this strain leaves them stuck on the couch. Get some snacks ready and prepare yourself for a strong, yet genuinely good-spirited experience with this one. 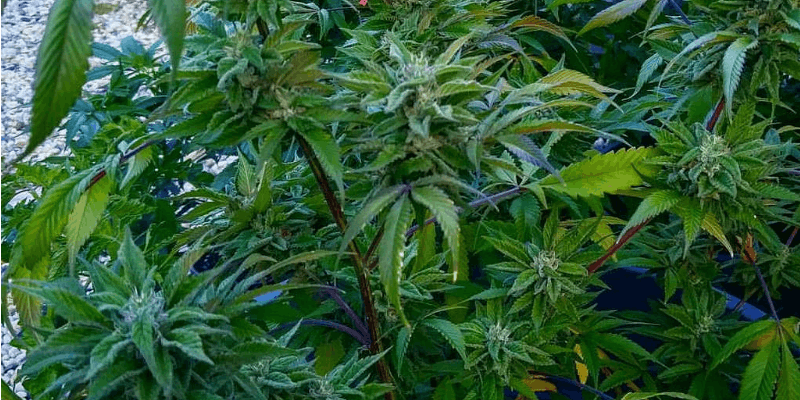 Sunset Sherbet, an indica-dominant hybrid, is heir to the Girl Scout Cookies throne. Funky and pungent, this strain boasts THC levels of up to 20%. While this strain may not be the most potent in terms of THC, the overall experience is quite incredible. Thanks to its hybrid heritage, Sunset Sherbet is more uplifting than many strains on this list. Many find that the effects often start off in the head, providing a joyous and upbeat high. However, this strain soon mellows out into an easy, full-bodied indica experience. This strain is only gaining popularity as a go-to indica hybrid. It is much beloved by those with mood disorders and chronic pain. Sunset Sherbet is a very enjoyable, top-notch bud all around. Try vaping these through the Mighty Vaporizer from Storz & Bickel available at the Herb Shop for a sesh like never before. 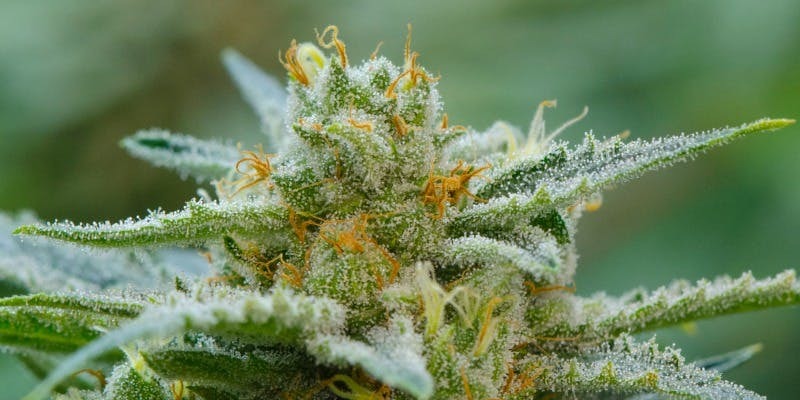 Want more information on cannabis strains? Don’t forget to check out HERB’s Strain Database, here.